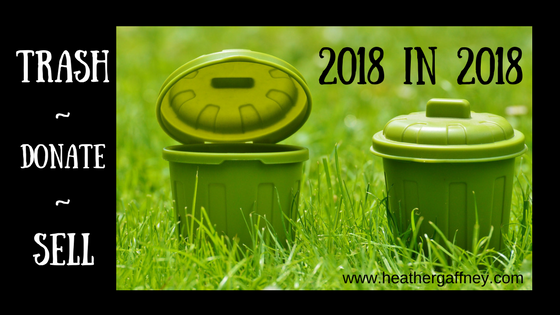 It’s time for an update on my progress to eliminate 2,018 items from my house this year – hence the title 2018 in 2018! It can be done! I was able to do it last year, but then I was also moving so I had an additional incentive. 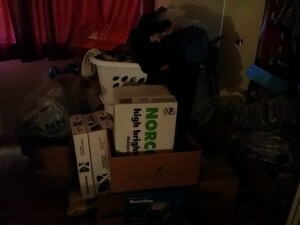 But I also think that moving into a smaller house is another incentive to reduce what I keep here. Items can be trashed or recycled, donated, or sold. Items that are part of a set count as one item: salt & pepper shaker set counts as one item; each book or magazine counts as one item. “Long lost” items that are found and finally used up also count. That’s it. Anything that permanantly leaves the house counts. After all, the goal is to de-clutter, reduce, and/or simplify. 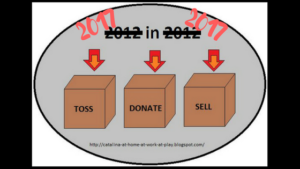 While I haven’t sold anything yet this year, I do have plenty of things set aside for either ebay, facebook sale pages, or a yard sale or two. 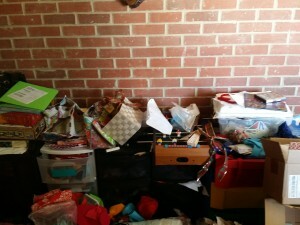 I have been working on some organizing in the house and have found many things to trash or recycle. It’s really quite freeing to eliminate handfuls, or even piles of things I no longer need or use. In January, I trashed/recycled 14 items. In February, I trashed/recycled 19 items. But in March, I got busy! I was able to trash/recycle 56 items! 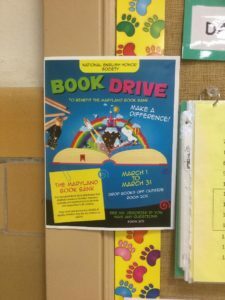 Not only that, I donated 57 books to a book drive at my daughter’s school! As much as I love books – and it has always been a motto of mine that one can never have too many books – it was time to allow other children to enjoy some of the books my children enjoyed when they were younger. Now that they’re growing up, they need room for more young adult titles. That brings my total items eliminated in March to 113! My most productive month yet! For the first quarter of 2018 then, there are 146 items that no longer live at my house! As great as that is though, it’s really not anywhere close to what I need to be doing. 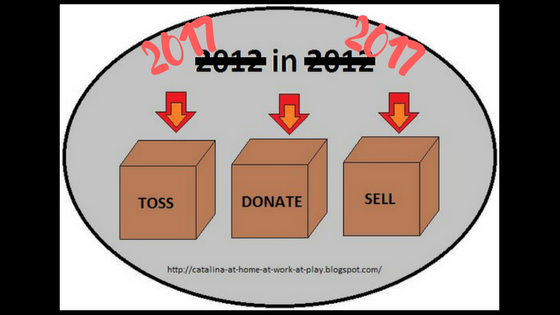 If you divide 2,018 by twelve months, the goal should be 169 items each month. Since I haven’t even done that in three months, I am seriously behind. So re-working the plan… If I subtract my 146 from 2,018, I have 1,872 more items to eliminate. Then if I divide that by the nine months remaining this year, I now need to focus on 208 items per month. That. Is. A. Lot. Hopefully, I’ll be back at the end of next month with some better news! It’s not too late to get started; if you come across this post, you can start at any time. The goal is to simplify your life; any time is a good time to get started!